Career In Real Estate | Is Now A Good Time To Start My Career? Are you looking to start a career in real estate, but are worried about the current market? As with every stage in the economy, there is always an opportunity to succeed, no matter what the market delivers. All you need to do is align yourself with the real estate company that will provide you the best agent training, support, technology and proven business model that works in every market. Lucky for you, Keller Williams Realty is that company. By putting the focus on building the real estate careers of its agents, KW has become the choice for new, as well as experienced professionals, to take their businesses to the highest level. Over one million agents left the real estate business during the 2005-2012 recession. The result was Keller Williams being the only real estate franchise to grow in agent count during that time frame. 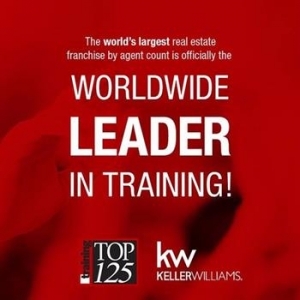 By focusing on the current market, Keller Williams is now the largest real estate company in the world. Also, the winners of the first ever triple crown for real estate. KW has the most agents, most units sold and most transactions of any real estate company in the country! Keller Williams focuses on your real estate business. We aim to thrive in today’s market, putting us one step ahead of the competition. No matter where you come from, the most successful real estate agents are the one’s that are trained properly. A lot of real estate companies have the mentality of saying, Good luck, I hope you make it. This is not acceptable to agents that truly wish to run a business vs just selling houses. With the Keller Williams Ignite training program, you do have the opportunity to build the foundation of your business. KW training is taught by top agents in each office, not some antiquated agent that’s been out of the business for 20+ years! The KW culture is one of agents helping agents. We are willing to share our ideas, secrets and strategies to help our fellow agents follow the right business path. The result is you have the support of the agents around you and the sky is the limit to your career success. Watch as top real estate agents share why now is the best time to start a career in real estate. Contact Keller Williams today!